The Estate Planning Analysis looks at your entire estate and estimates the after-death expenses then makes recommendations on how to lower them in order to leave more money to beneficiaries. 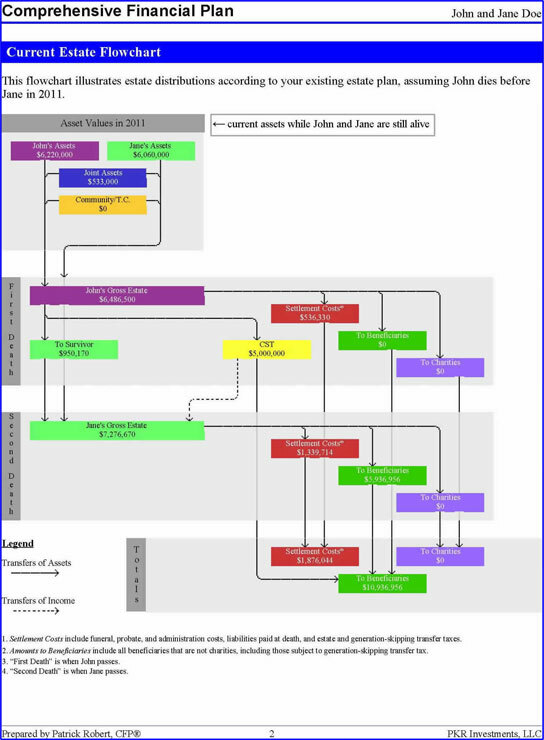 We first determine your current financial situation and create a flowchart to illustrate the movement of assets from your estate to estate taxes and beneficiaries’ inheritances. With appropriate trusts, estate taxes and costs are greatly decreased (as shown below). The final step of the Estate Planning Analysis is to make recommendations to lower expenses and leave more money to beneficiaries or charities. 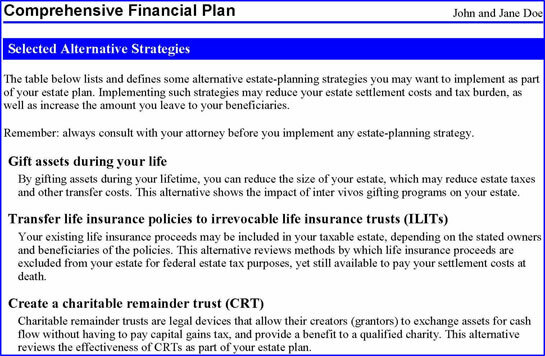 This section gives specific recommendations that are unique to each client but can be ideas such as setting up Grantor Retained Annuity Trusts (GRATs) or Irrevocable Life Insurance Trusts (ILITs). The Estate Planning Analysis is a great way to analyze your current estate situation and determine ways to reduce costs, estate taxes, and leave more of your hard-earned money to your desired beneficiaries..